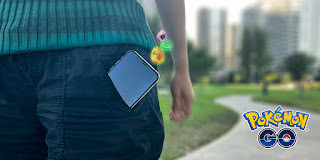 The official Pokemon blog has announced that it has enabled Adventure Sync in the game. It’ll be able to record the distance you have walked, earn your candy, and also hatch your eggs, while Pokemon GO is closed. This new feature also works with Apple Health on Apple devices and Google Fit on Android devices. “Exploring with Pokémon GO has never been easier with a new feature coming soon! Adventure Sync can record your walking distances even when Pokémon GO isn’t launched, working in the background to tally your distance, earn Candy, and hatch Eggs! Plus, Adventure Sync will deliver a weekly summary, where you can see your Incubator and Candy progress as well as important activity statistics. Check in via your Trainer Profile to see the number of kilometers recorded for the week. Earn rewards each week for each milestone you cross, and receive push notifications when your Buddy Pokémon has found a Candy or when an Egg is about to hatch!